For fifteen years now, with her teaching, writing books, and editing, Alicia Rasley has been helping writers get that story within out. Now she’s offering personal coaching and consultation to writers in a cost-effective but deeply empathetic system. Sign up for my email newsletter for new craft-of-writing information and get a free plotting article! Affirmative advice, given with support and empathy. Expectations and experience from a master teacher and best-selling writer. Individualized interaction – the discussion is focused entirely on your own story. Questions and insights designed to help you discover your own story and voice. Additional wisdom in written form. 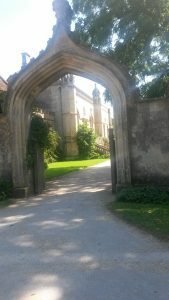 Guidance in connecting your story elements, such as character to plot, pacing to scene design. Insights into the “within” of your writing, including recurrent and resonant themes and characteristics of you voice. This expert “story doctor” will work with whatever you have, from a bare idea to a complete draft, and guide you to adding, subtracting, and most of all deepening. She is famous for quickly and courteously diagnosing story problems and helping you find the solution– not just “the” solution, but “your” solution, the one that fits your conception and feel for the story. With Alicia’s aid, you can define your own story situation, and design a consultation format that would help you most at this stage in your writing. No matter what the project, you can be assured of committed, enthusiastic, and affirmative coaching and counseling from Alicia, an experienced editor, college writing professor, and writer’s coach. What a Coaching Session Is Like: With face-to-face, video, email, or phone communication (your choice), Alicia will guide you through the process of creating, discovering, deepening, and revising your story. This will be an lively and interactive experience, where empathy and support are provided along with expert advice and the wisdom of a lover and builder of story. Know the powerful potentials of your plot and characters and how to enhance them. Recognize your strengths as a plotter and a stylist. Discover the most “charismatic” aspects of your story for the potential reader. Map the character journey through the story. Craft an emotional arc over the plot. Identify your plot turning points. Design scenes for maximum drama. Define and develop your theme or message. Enhance thematic elements like motifs and patterns. Select the point of view and narrative voice best for your story. Know your characters deeply and explore their inner lives and needs. Return to your writing with a renewed sense of purpose and direction. Above all, this is personal– one-to-one, about you and your story. There aren’t any requirements for entry. Whatever type of story you have– general fiction, non-fiction, genre, in whatever medium, at whatever level, Alicia will help you understand the story and your writing process. This won’t be a processed encounter where one size fits all. Your story. Your questions. Your vision. Alicia will help with individualized counseling and coaching. Most important, at every point, this will be taking you deeper into your story. Alicia will help you find what’s already there in your story idea, in the start of your characters. This isn’t about creating a generic story, but rather helping you to discover and deepen your own story, the story you want it to become. Finally, if you wish, we can record the session and create a transcript (through Zoom), and Alicia will be available for further coaching sessions and interaction. Face-to-face sessions can be arranged, but travel expenses must be covered by the client. Because this is an individualized process, the sessions below are just examples. Any one can be adapted to fit your particular situation. Do you have an idea but not a plot? 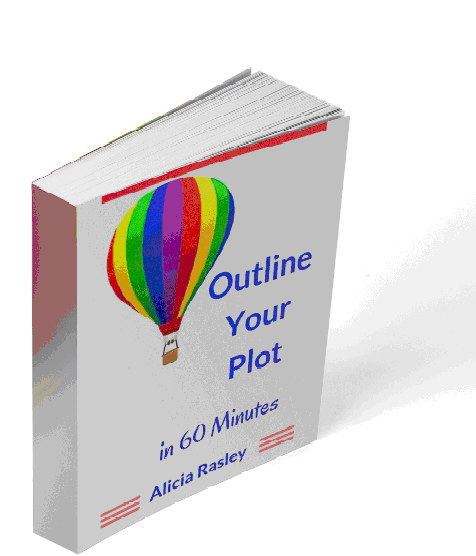 Do you have a plot but not a story? Do you have a story but not a blueprint or outline? Are you starting a new book, revising an existing story, reinventing an old plot? Well, Alicia can help with all that. “No one brainstorms like Alicia,” a former client writes. In just a few hours, you can go to feeling confused and inadequate to knowing exactly where you’re going in the story. Most of all, due to Alicia’s affirmative and insightful approach, you’ll reveal more depth and coherence in your story than you thought was there– and you’ll finish feeling excited about the story’s potential and confident of your ability to achieve that. First, you’ll prepare something– whatever you have figured out, whether a story outline, a character study, or just a paragraph story nugget– for Alicia to review (up to two hours). Alicia will work with whatever you come up with, so there’s no need to come up with homework here. She just would like to review some basics before the consultation. This will all be done with respect for you as the author and your story, through questions both simple and profound, and with an “almost uncanny” understanding of the deep meaning of your idea, and the organic shape of your plot. Do you have a story but not full-fledged characters? Do you have a character but not a plot? Do you have character relationships that aren’t quite working? Is your character too nice, too passive, or too perfect? In this intensive but focused coaching session, Alicia will guide you into the depths of your own characters, helping you to understand what you have created and what they can become in your story. It happens to all of us, that grinding uncertainty, the decrease in confidence, the slow apathy. With Alicia’s help, however, you can work towards identifying the cause, whether it’s within the writer or the story. Then with guided exercises and goalsetting, Alicia will help you work through the block and get back the joy of writing. If you’d like Alicia’s affirmative and expert advice on plotting, characterization, style, and/or your writing progress, you can sign up for “Chronic Coaching,” a monthly or weekly check-in. During this phone or video session, you will be able to discuss your current writing, plan the next stage, and get guidance on story and prose elements. The fee is negotiable depending on the length of the manuscript and the depth of your expectations, but will start at 7 cents a word. Because this is the most expensive option, Alicia will work with you to determine if editing is indeed what you need, or if the problem is on the story level and one of the story-doctoring consultations might be more useful. Also, as a cost-effective option, she can edit a sample chapter at 7 cents a word to provide guidance on how you can self-edit the rest. Alicia is experienced at working with groups of writers, including organizations, chapters, and critique groups. This group coaching can be done in-person, through email or chat, or on the phone—your choice. The topic or focus (such as “brainstorming plots” or “revising scenes”) will also be your choice. This can include lectures, group discussions, brainstorming, story-advancing exercises, and critiques. If your group would benefit from insightful, affirmative coaching, Alicia is available for both in-person and remote sessions. This is the most comprehensive and expensive option, best for writers who really want to invent, revise, or deepen their story on a deadline. Alicia will help you diagnose what you need to do to improve the story and finish it, then come and coach you directly for up to two complete weeks, up to ten hours a day. Basically, she will be your in-person aide, guiding you through the fixes and revisions and deepening, editing pages on the fly, enhancing and focusing your voice and vision, and helping you GET IT DONE. Obviously, this drastic coaching solution will be expensive and harrowing, though Alicia’s affirmative and focused approach will also make it fun and illuminating. The lessons you learn from this intensive fortnight will improve your story planning and writing process for future books too. The fee is negotiable, and must include all expenses– transportation, lodging, meals. (You might find it especially helpful — if it’s affordable, of course- to go on a “retreat” to an inspiring and quiet place away from home. Alicia has some recommendations for great retreat accommodations in the U.S., Canada, and Europe, wherever you are. It will be expensive… but it could be life-changing! If you have a great story idea or a draft that needs work, and you have the means, this could be your ideal opportunity to fulfill your voice and vision. Alicia was at my side when I first brainstormed the novel. In a fabulous hour or two, she encouraged me to go deeper into my characters’ psyches. Judith Stanton, author of Under a Prairie Moon and A Stallion to Die For. Alicia Rasley’s insightful editing advice revolutionized the way I write. Her invaluable guidance took my technique to a whole new level, adding new depth to my characters, my plotting and my words. Her attention to detail taught me how to shape my narrative more smoothly and craft an authentic voice. Alicia’s articles and resources are still the first places I check for editorial advice. I wish every writer had an Alicia! Jordan McCollum, novelist and writing teacher.